This has been a long week. I have almost no energy to write this blog post, but I will do my best! It does not help that there is a major AWS outage that took down my web & database servers and I'm waiting on Amazon to resolve the issues so I can get my sites back up. Back on the subject of Google, there were simply too many amazing sessions to attend. It is impossible to attend all of the awesome sessions because many of them are at the same time. Once I get back home I will continue to enjoy Google I/O all week as I watch the talks that I did not see in person. Realizing that I only saw a small subset of the conference, here are the big themes that I saw and some thoughts on each of them. The announcements around Project Glass were absolutely amazing. This is the future and Google is going to bring it to developers, including me, next year! I am crazy excited to be on the list of developers who will have early access to Project Glass Explorer Edition. The keynotes will go down as a demo for the history books. This one is going to be hard for anyone to top. The announcement of Google Compute Engine is significant, but it does not fit the use cases that I currently have for EC2. Their example was focused on the scientific use case of crunching numbers. The price is also competitive, but they do not offer an affordable low end like Amazon, so it is out of my price range. There were lots of improvements and updates to App Engine, but many of them were not production ready yet. I am happy to see that this platform is moving forward as a core Google technology. I will also be keeping a close eye on the pricing of their SQL product over time to see if it is suitable for some of my projects. Chrome is definitely big. Huge actually. Technologies like SPDY and the other platform improvements are pushing the web forward at an amazing pase. It seems like Google is the largest player at reshaping what the future of the internet and the web will be and developers are loving it. The announcement of Chrome for iOS is huge and I predict that it will overtake the usage of Chrome on Android very soon. This last point is probably the most important. It seems that the designers have found a place at Google and the engineers are going to have to make some more room. In the end it is a good thing for users and it seems that the engineers and developers are eager to learn. I know personally I am horrible at making things look good and tend to struggle to make easy to use interfaces. 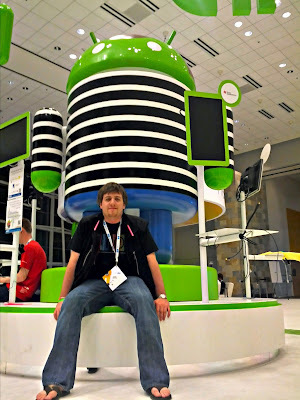 The third day was dedicated to design on the Android platform and the sessions I attended were extremely helpful. 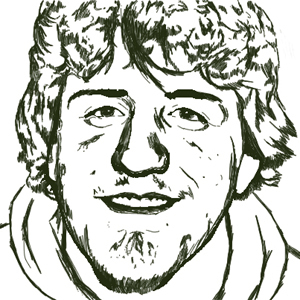 I will use what I learned to improve the applications I create. With Jelly Bean released and my new Android devices, I will be spending some time fixing and improving my apps in the coming weeks. No fancy pictures today, just a quick update. The second day keynote brought more surprises and fun. The product announcements centered around Chrome and Google Apps with the big surprise being a free Chrombox for all of the attendees. 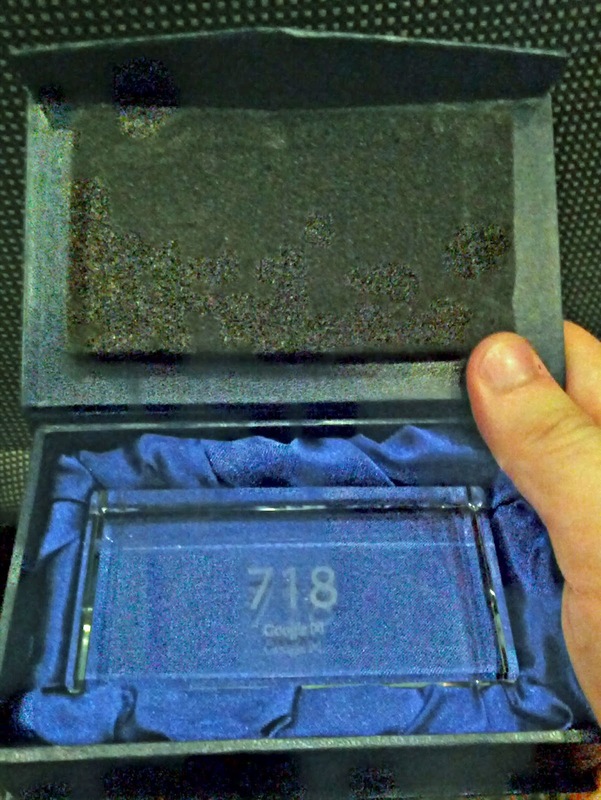 Again, not a very exciting gadget for a conference. It is going to sit in the box until I get back home where it will likely replace an old laptop as the computer connected to the TV. The majority of the keynote was focused on demonstrating how the previous days skydiving stunt was put on with a repeat of the stunt. The second time through it was more like a developer walkthrough that explained how everything was done. 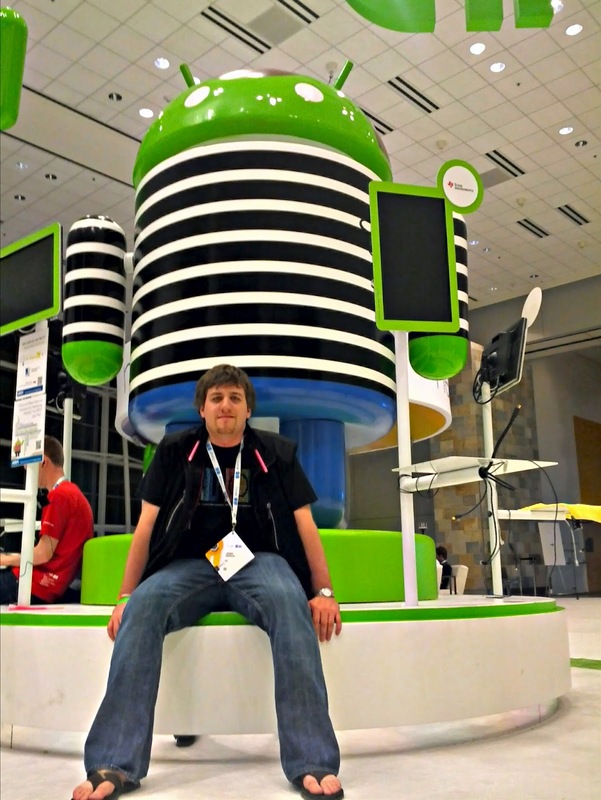 For me, the rest of the day was mostly spent in sessions learning about App Engine & Android. There are quite a few sessions that I am looking forward to watching on YouTube after I get home that I was not able to attend in person. While there were some major announcements, none of them stand out as something that I want to cover in this blog post. Today I activated my Nexus 7 and have been using it all day. Unfortunately the spotty WiFi made my Galaxy Nexus more useful (Verizon 4G coverage has been very reliable). The Jelly Bean features are a major improvement over ICS but mostly cosmetic. The changes really do not really justify a major version so the choice to release as 4.1 instead of 5.0 makes sense. The biggest improvement is the Google Now feature which I have been trying to determine what type of questions can be answered. The fallback is a standard Google Search which is still useful. It seems that the Knowledge Graph still needs some work to catch up with what WolframAlpha has to offer. While the hardware is really excellent, the competitive advantage of the product is tied to the price point. I think I would still prefer a 10 inch form factor, but the ability to hold the tablet in one hand changes the use cases. The I/O model only has 8 GB of storage which will cause me to be selective with what I store. Many of the apps (including my own) need some work to look great on the 7 inch form factor. I am guilty of targeting the 10 inch form factor and will be doing some work in the coming weeks to target the smaller screen size. 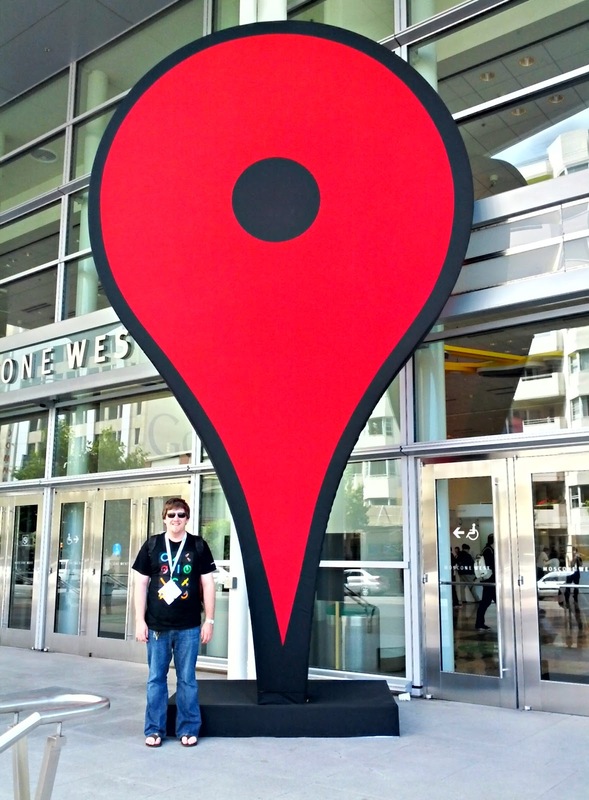 With most of the excitement of Google I/O already done, tomorrow will be much less eventful. The biggest thing I have left to do is figure out how I will be able to transport everything back home. Google I/O day one is over and it is very late, but I'm still going to try to throw together a blog post with the small amount of energy I have left. The keynote focused on lots of new Android features as part of Jelly Bean which are all great, but I will not go through those. I have not had much time to play with the new features, but I am excited to sit down tomorrow and start using the new operating system. The big surprise was when Tony Stark Sergey Brin coordinated a skydive onto the roof of the conference center, then a team of stunt bikers, followed by a repeller down the side of the building, and finished by a biker taking the Project Glass proto type right up to the stage. 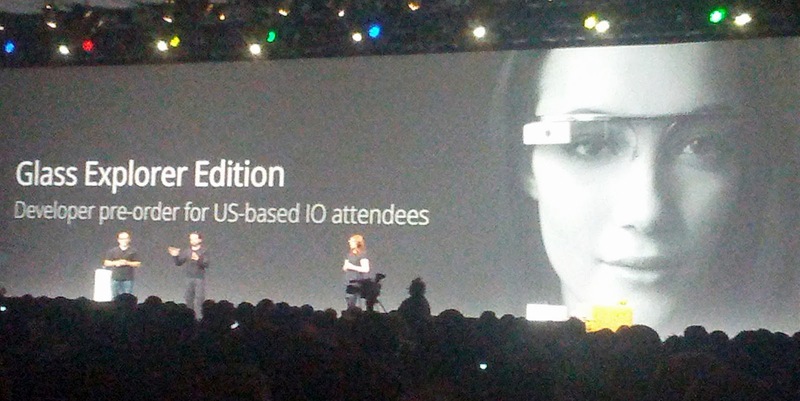 It was all streamed live through a Google+ Hangout using Project Glass. It was by far the most impressive demo I have ever seen and it will be very hard to top. The big reveal was that they would be giving the US attendees of Google I/O 2012 the opportunity to preorder "Glass Explorer Edition" for $1,500 that will ship next year. Of course I did and now I have some glass as proof. I am number 718 and I could not be more excited! Now the freebies this year provide the whole suite of Nexus products. The Galaxy Nexus (which I already have), the Nexus 7 table, and the just announced Nexus Q. I already have a Verizon Galaxy Nexus and the one I was given runs on AT&T or T-Mobile and can be instantly updated to Jelly Bean through OTA. I'm not sure what I am going to do with it yet. The Nexus 7 is awesome looking. I still have some doubts with the 7 inch form factor but I'm excited to play with Jelly Bean. Unfortunately I can not activate the device on the hotel WiFi so I just need to be patient and activate it tomorrow morning at the conference center. The Nexus Q was a little out of left field and the somewhat evil looking GLaDOS like device has a strange set of features. I will definitely hook it up and use it when I get home, but I do not see it replacing the Xbox 360 + Kinect I use for most of my media consumption. After hours were really awesome. Train put on a great performance and there were endless geeky games and interactive displays. 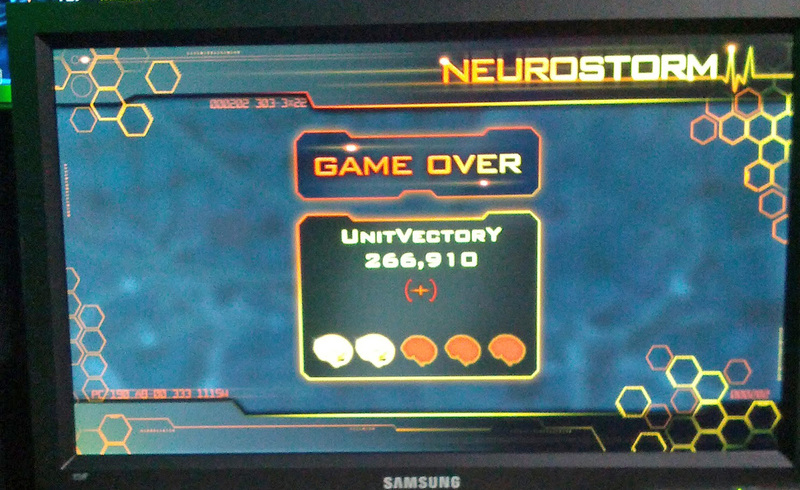 The one that I spent the most time waiting for was a game that measured how relaxed or "in the zone" you were while you played a rail based shooter. 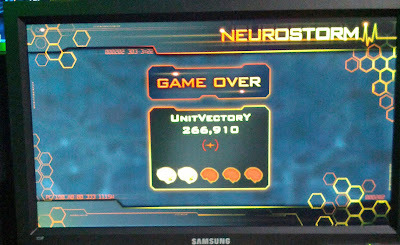 My score was not horrible, but I did not make it to the leader board. It is only one day in and it seems like I have been here a long time. There are still two more days including what should be another great keynote address tomorrow. I am not sure if they will be able to top live streaming skydivers though. 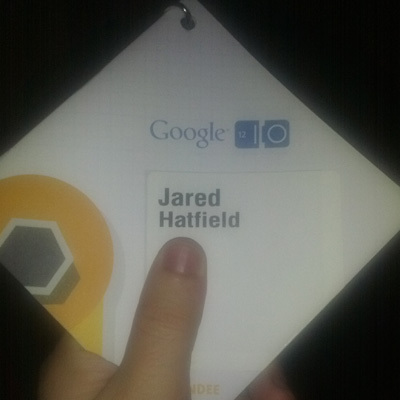 This will be my second Google I/O conference and I am very, very excited. Last year I predicted that the giveaway was going to be an Android Tablet + Chrombook but I did not put it in writing. This year I am going to write down my predictions. I am obviously going to base these off of the various news and leaks that I have seen on the internet, but here is what I think. First, the Nexus 7 is almost guaranteed. The specs that have leaked seem reasonable and overall it looks like good hardware. It will not drag like the Kindle Fire and will be a great showcase for tablet optimized Android apps. My biggest complaint is that the 7 inch form factor seems a little off for me. The thing that I want the most is Project Glass. While it is probably not that likely that they will be giving developers hardware this week (I can still hope) I think it makes sense. If they are going to launch the product next year, giving developers 6 months to work on building apps seems about the right amount of time to get a platform off the ground. Not falling into the category of a prediction, but more of a dream, I would like to see the self the driving Google car. I would like a picture of myself in the drivers seat. Seems silly considering it is a self driving car, but I can have my nerd fantasies. Overall looking at the conference Android is going to be HUGE, but Google+ and Google Drive are going to probably steal the show. It seems like App Engine is going to be played down and there is likely going to be some questions regarding the rampant deprecation of developer focused tools and raising (then lowering) of prices on APIs. I have already marked down the sessions that I definitely want to go to, but I am most interested in the sessions that have not been announced yet and will not be released until after the keynote addresses. I will be sure to post more as the week goes on!